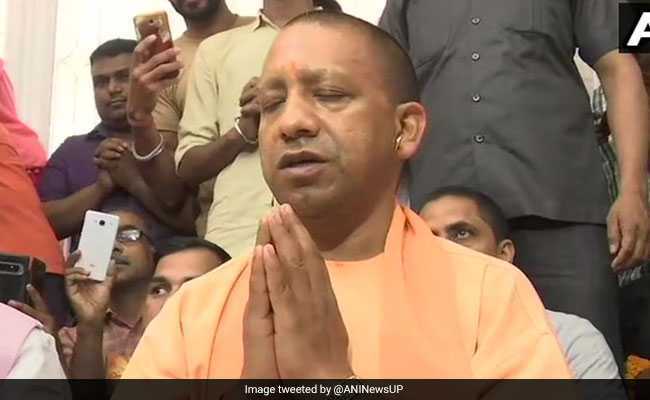 Lok Sabha Elections 2019: The tweets which were posted by Uttar Pradesh Chief Minister Yogi Adityanath on April 5, had referred to the Indian Muslim League or IUML as a "virus"
A directive sent by the Election Commission or EC led Twitter to remove two controversial tweets from the Twitter handle of Uttar Pradesh Chief Minister Yogi Adityanath, news agency PTI reported. The tweets which were posted by the saffron-robed chief minister on April 5, had referred to the Indian Muslim League or IUML as a "virus". IUML had approached the EC against the tweets and had also asked it to block Yogi Adityanath's Twitter account. "The Muslim League is a virus. If someone is affected by this virus, he cannot survive, and today's main opposition party is affected by it. Know what will happen if they win? This virus will spread through the entire nation," Yogi Adityanath had tweeted in Hindi. 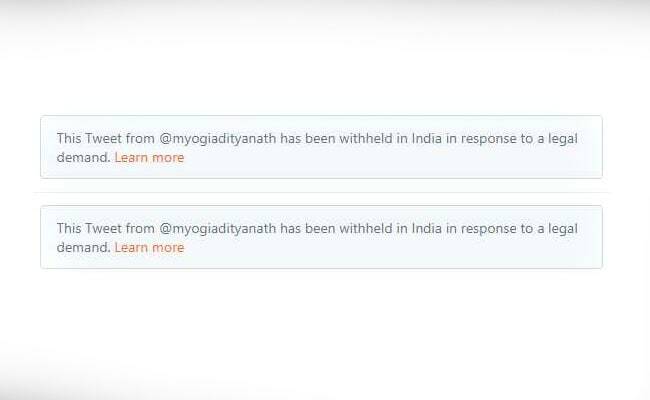 "This tweet from @myogiadityanath has been withheld in India in response to a legal demand," read a message, instead of the tweets, on Yogi Adityanath's Twitter timeline. A Twitter official confirmed the removal of the tweets, reported news agency PTI. Yogi Adityanath had, at a rally a few days after posting the tweets, said that the Congress was infected with a "green virus". You might have seen Rahul Gandhi's nomination rally at one of the seats in Kerala, there was only greenery visible there. Congress flag was nowhere to be seen. Congress is suffering from this green virus, it has got infected by it", he had said. Yogi Adityanath is currently serving a 72-hour ban from campaigning for his remarks during a rally. "If the Congress, the SP and the BSP have faith in Ali, then we too have faith in Bajrang Bali. The opposition has acknowledged that the followers of Bajrang Bali will not vote for them," Yogi Adityanath had said. The Election Commission had earlier served the chief minister two notices for his remarks and had then banned him after the Supreme Court had pulled up the poll panel for failing to take action in cases of violation of the Model Code of Conduct. Ali is revered by Muslims as Prophet Mohammed's successor whereas 'Bajrang Bali' is another name for Hanuman, a Hindu god.